Product prices and availability are accurate as of 2019-02-24 08:27:56 GMT and are subject to change. Any price and availability information displayed on http://www.amazon.com/ at the time of purchase will apply to the purchase of this product. The Lumia 640 is a great smartphone. 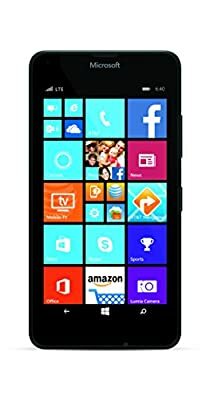 For less than $50, you can have a smartphone with all the bells and whistles of a more expensive phone without the price. Take videos, pics, do powerpoint presentations, video conference with Company Hub and more. The memory of the Lumia is 8 GB and expandable to 128 GB with a MicroSDXC card. OneDrive cloud storage is also standard. With the cloud storage, it's possible to have an entire powerpoint presentation uploaded to the cloud and access with a computer and your Lumia 640 phone during a presentation. It's a great feature and great for those who need to give presentations on the go. The battery is a replaceable 2500 mAh. Battery life depends on how much you use your phone. Videos and pictures take alot of battery power. So, video and heavy graphic user should expect to need to recharge more frequently than those who are just using the phone for phone calls only. 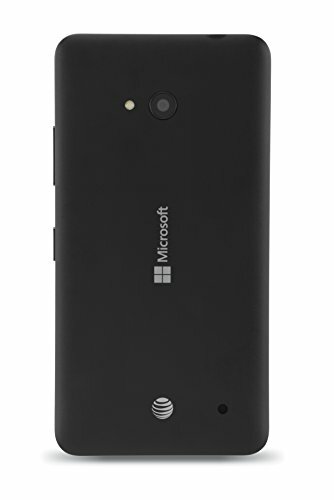 The Lumia 640 has an 8.0 MP, auto-focus camera with up to a 4X zoom. The focus range is 10cm. For video the Lumia has 1920 X 1080 resolution. The resolution is the amount of pixels. The more pixels, the clearer the video. It features autofocus, and 4X zoom as well. Apps included in the Lumia include Lumia Camera, Lumia Selfie and Lumia Moments among othe apps. The Lumia is a great phone for the price. Do all the things you can do with any phone at a fraction of the price. If you're looking for a phone for the first time. This is great basic phone. Very nice priced and great reviews. AT&T is the wireless provider with the phone But you can unlock the phone and the Lumia will take any GSM provider such as MetroPCS, Cricket or others. The AT&t prepaid aspect is appealling to many people. Pay in advance and use it as you call. The first 2 GB are at high speed and the speed is reduced afterwards. You get unlimited talk, text, and data usage for international users look at the details. For the average to moderate cell phone, the experience is like getting a Cadillac for the price of a Volkswagen.